The Mini Reporter Bags are neat little shoulder bags approximately 23cm x 27cm x 7cm and come complete with a 5cm wide shoulder strap. 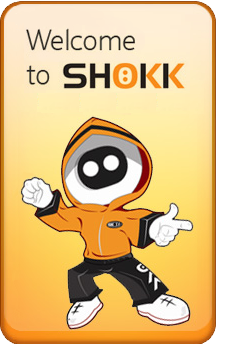 The front panel is printed with one of two new stylish Dynamite's designs. 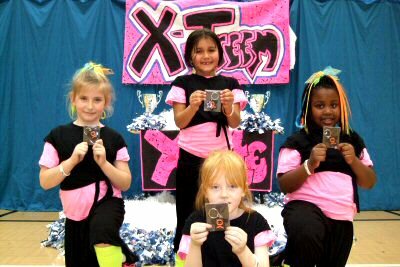 Our Mini Reporter Bags cost just £8.50 each. 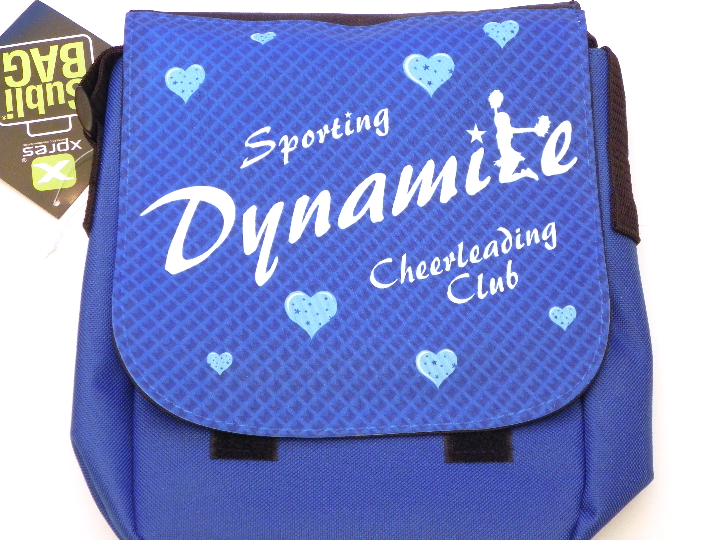 Front panel design: The Sporting Dynamite logo with several blue hearts spread randomly on a chequered blue background. Please note: these bags come complete with shoulder strap and printed front panel. 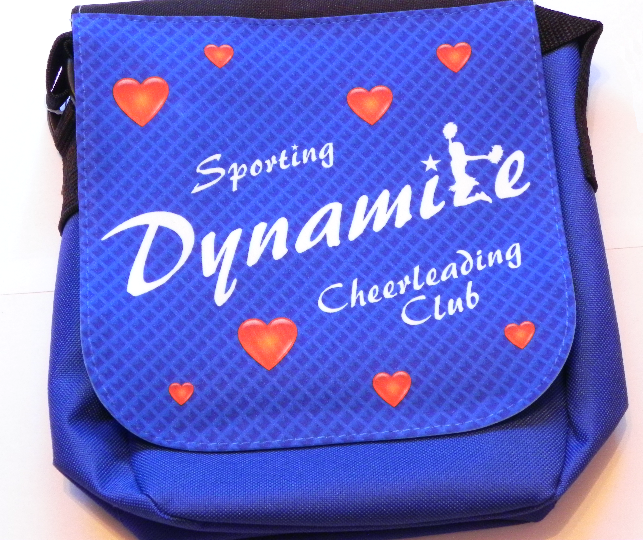 Front panel design: The Sporting Dynamite logo with several red hearts spread randomly on a chequered blue background.